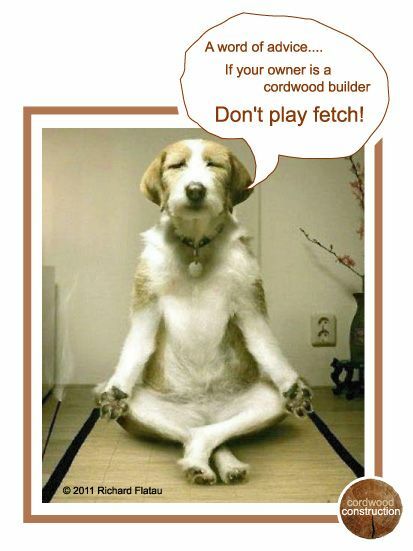 Our furry friends need the warmth of a well built cordwood wall just as much as humans. 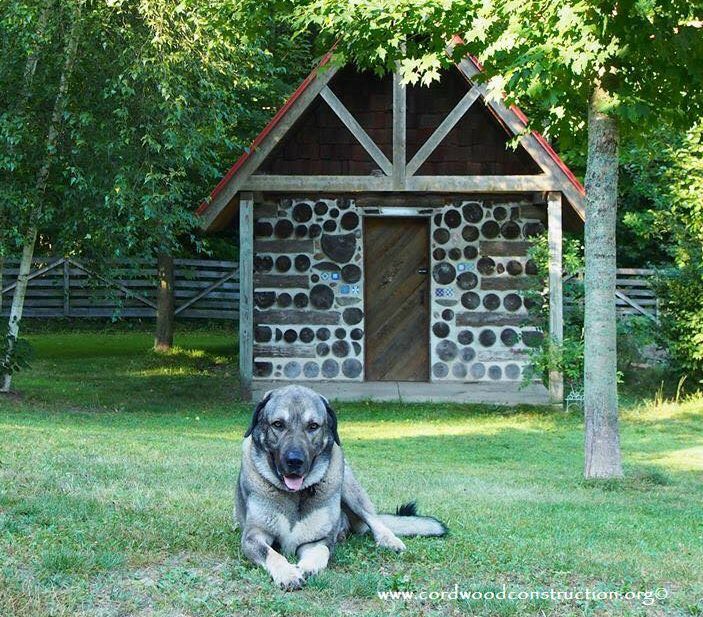 Here is an attractive Swedish cordwood doghouse courtesy of Olle Hagman. Oliver helped me with the creation of the Wisdom of Downward Dog. 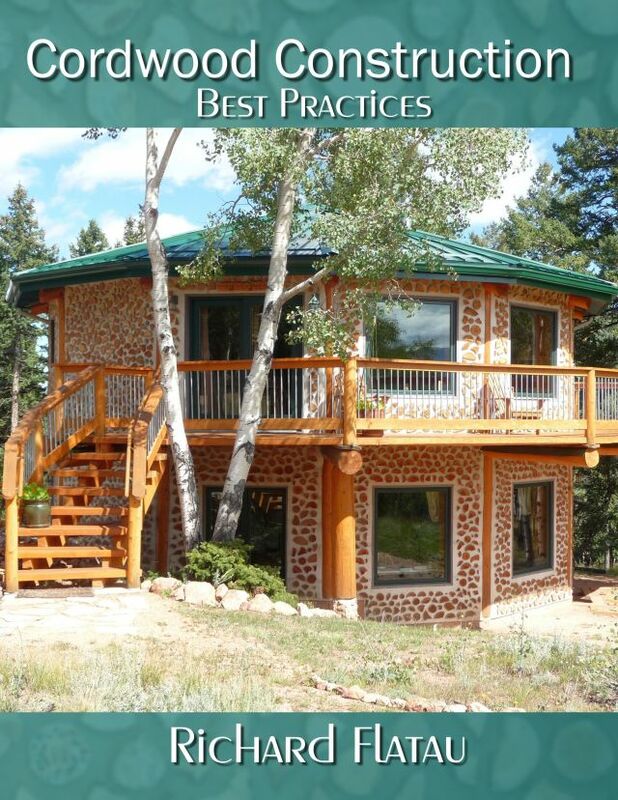 If you want to try the cordwood method with a practice building, this is a good starter project. 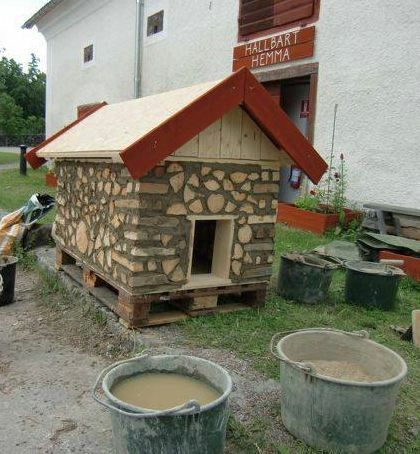 Olle was kind enough to send another cob mortar doghouse from one of his workshops. Below is a stackwall corner doghouse and its owner reside in Michigan. 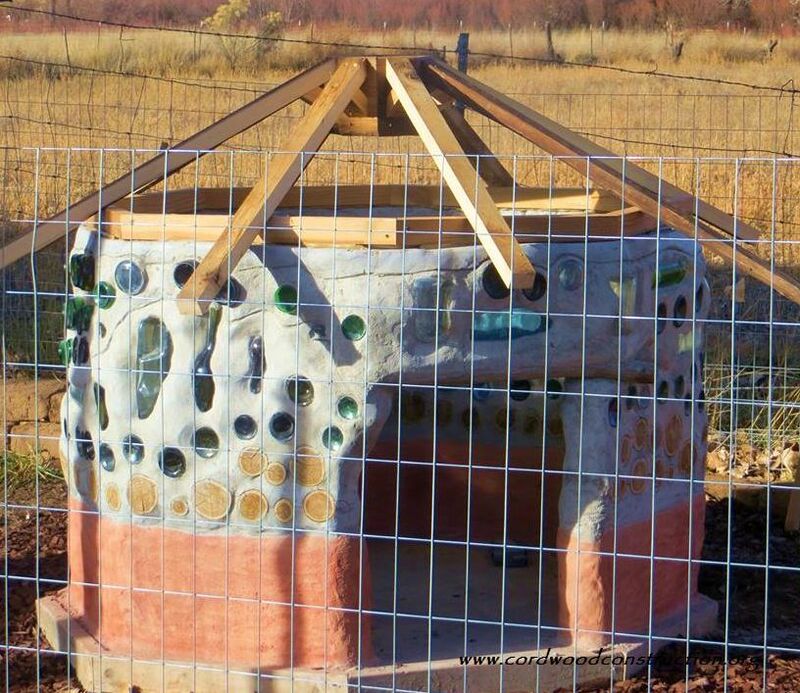 This roundish cordwood has bottles to enlighten the savage beast. 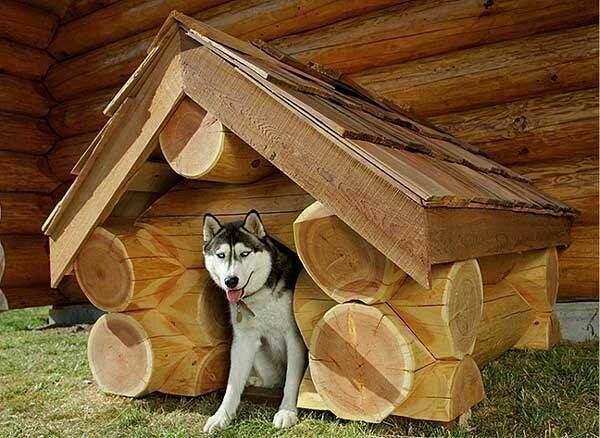 A Siberian Husky from Russia loves his log cabin. Tom Huber built this masterpiece in Michigan. 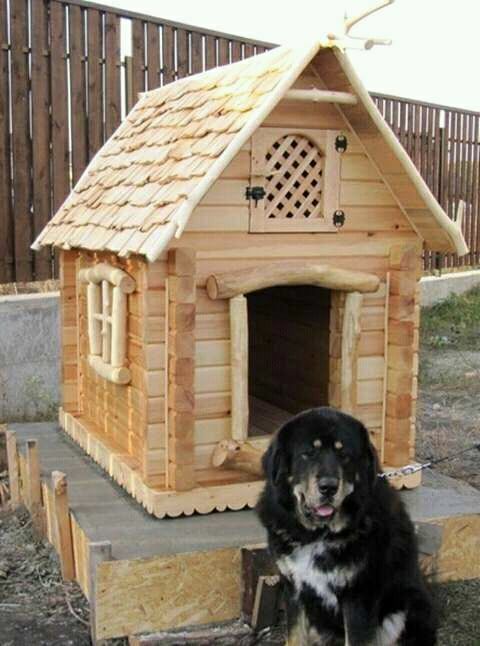 A nice white pine doggy house. 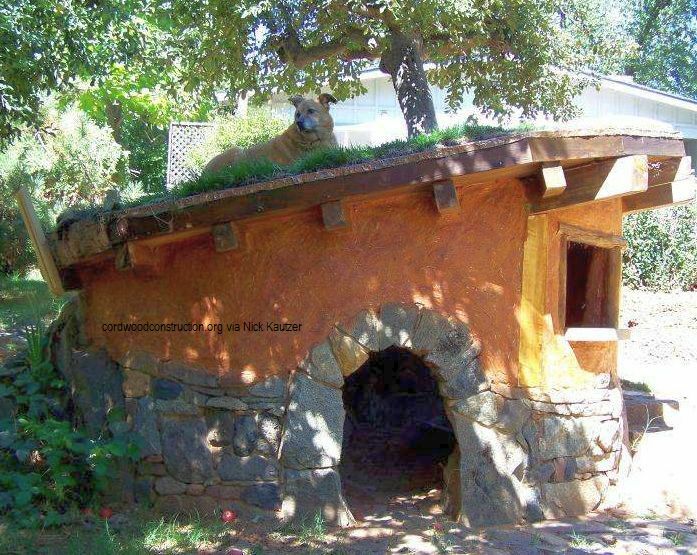 Some dogs like to loll on top of their green roof.